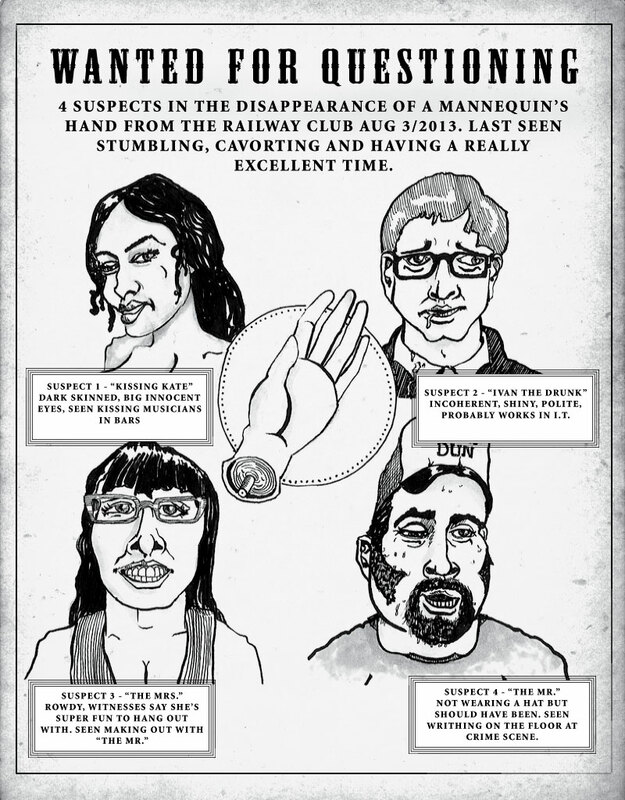 On August 3, 2013 the hand of my mannequin went missing at the Railway Club, and is presumed stolen. The primary suspects (innocent till proven guilty) are depicted in this amateur sketch. Can you help bring justice to bear on these incorrigible bandits? No reward is offered, except the feeling of sweet justice. No questions asked for the safe return of the hand.